Howdy! 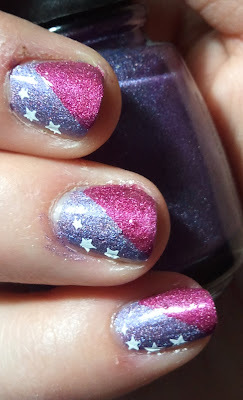 Today I have a little something I did when the Tronica polishes first came out. It's a mix of Hyper Haute and Gamer Glam. I scotched taped diagonally down my nail to try to get a straight edge. 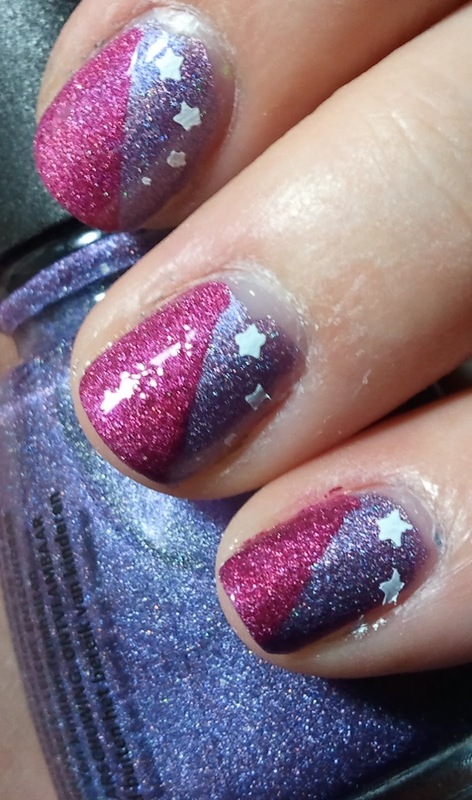 Then for fun, I used a Konad stamp. The stamp didn't come out that well... for some reason, I had a really hard time lifting the stamp off of the plate. 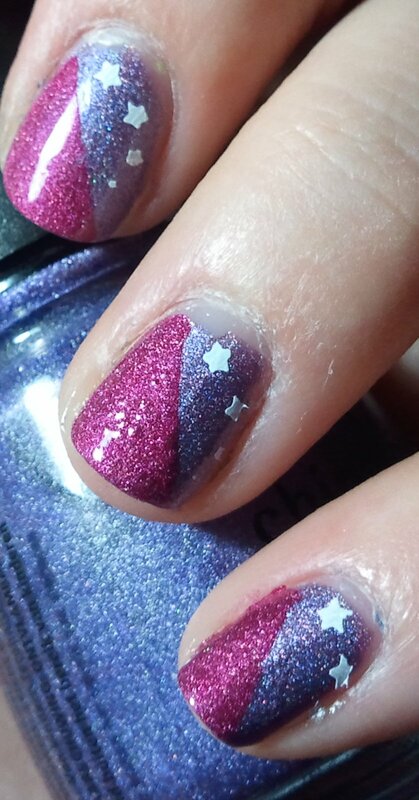 I like this combo, and these polishes, however I wish they had a little bit more holographic-ness to them. Anyway, here ya go! Fun! I don't have any star images and it makes me sad. These are still sparkly enough to be intriguing.